Mega Millions is famous for its HUGE jackpots. Lottery players in the United States and abroad are scrambling to get their tickets before every draw for a chance to win big. Some use hot and cold numbers for the tickets, others use birthdays and anniversaries, while others simply leave it up to fate and go with the Quick Pick option. In the end, only some very lucky players become Mega Millions winners. The top jackpot winners have scooped prizes worth hundreds of millions of dollars. Who wouldn’t want to join them? The good news is that the Mega Millions lottery is open to players outside of the US by playing online. So Mega Millions jackpot winners can come from any country on the planet! Get ready to take a chance on a life-changing jackpot and play Mega Millions online today! Check out the Top 10 biggest Mega Millions winners and read about their incredible stories. A single ticket purchased in South Carolina matched the five main numbers and the Mega Ball to win an unbelievable $1.537 BILLION – the largest Mega Millions jackpot prize ever awarded, the biggest jackpot in the world for a single ticket AND the second biggest lottery jackpot in the world! Mr. Brown also revealed that the winning ticket was a Quick Pick and that “The winner even allowed a fellow customer to make a Mega Millions lottery ticket purchase in front of the winner while in line at the store.” The South Carolinian is fascinated by the great influence that each decision made that day has had on the billion-dollar turnout. “A simple act of kindness led to an amazing outcome.”, said Executive Director Brown. This Mega Millions jackpot had the title of ‘World’s Largest’ until US Powerball’s $1.6 billion jackpot usurped it. Three winning tickets split this leviathan of a jackpot. 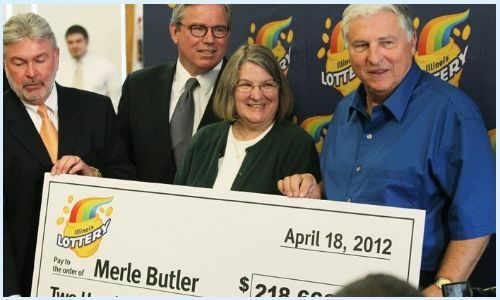 Merle and Patricia Butler, a retired couple from Illinois, took home $218.6 million. “We are just everyday people who have worked hard all our life…We just happened to hit it big,” Merle said about the couples’ incredible windfall. The second slice of the pie went to the Mega Millions syndicate the Three Amigos. Made up of 3 Maryland public school employees, the Three Amigos remains one of the most famous lottery syndicates of all time. 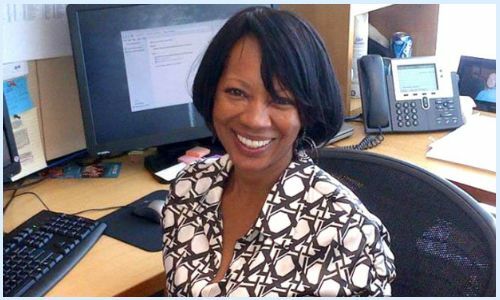 Ira Curry, a 56-year-old woman from Atlanta, Georgia, split the jackpot with another winning ticket sold in San Jose, California. Curry selected her winning numbers, 8, 14, 17, 20, 39, Mega Ball 7, using family members’ birthdays. In fact, her daughter broke the news that she was a winner after hearing the draw results on the radio. Curry opted to take her share of the enormous jackpot as a one-time cash payment of $173.8 million. On July 24th, 2018, a syndicate of 11 co-workers from California has won a huge Mega Millions jackpot. Initially estimated at $520 million, the prize eventually got to a whopping $543 million because of the massive ticket sales. The syndicate opted for the cash payout for the prize, which was worth $320.5 million. Ronald Reyes was the syndicate representative who came forward to collect the prize on behalf of the entire group. He said that they intend to continue working together even after this enormous win. We want to keep our jobs. We love that company. We love what we’ve built there. We have a good time and want to stay together”, said Mr. Reyes. This enormous jackpot was won by a single ticket sold in a gas station in Indiana. The $536 million jackpot was scooped by the Waters family. They were driving to a sports camp with their kids and they bought some Mega Millions tickets on the way, which ended up making them very rich. This was the second jackpot win in 2018 and it made it into the lottery’s Hall of Fame. 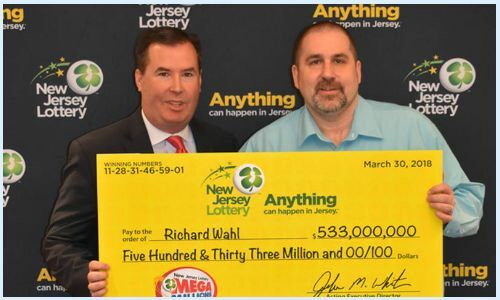 Richard Wahl of Riverdale, New Jersey has won a whopping $533 million prize. It was the second time he ever played Mega Millions and it turned him into a multimillionaire. He got his tickets on a whim from a gas station and he was so surprised to see he had actually matched all the numbers. The Wahls now believe that it was God’s plan for them to win, as Richard played with a Quick Pick ticket. 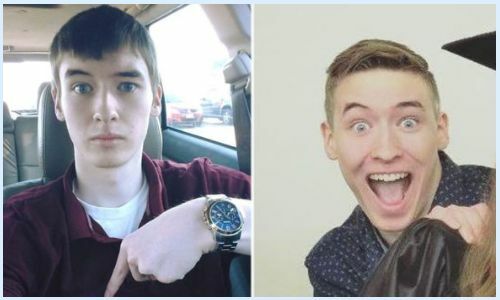 Shane Missler, all of 20 years old, was the sole winner of this incredible jackpot! Missler, who couldn’t legally buy alcohol at the time of his win, had ‘a feeling’ that he might win when he bought his winning ticket using computer-generated Quick Pick numbers. Missler chose to collect a one-time cash payment of $282 million. He plans to use his winnings to take care of family and donate to charity. Call it a sign of the times; Missler updated his status on Facebook to ‘Oh. My. God.’ when he found out he’d won. Mega Millions is off to a tremendous start in 2019. On its very first draw of the year, on January 1st, it has awarded a huge jackpot worth $437 million. Almost two months later, the 23 winners of the prize came forward. The New Life syndicate from Long Island are a group of 23 co-workers who play the lottery lottery together on a weekly basis. January 1st was their lucky day because it made them millionaires. They decided to stay anonymous after, but even after their big win in the Mega Millions, they want to keep on working together. They said that they consider themselves to be part of a family and they want to keep it that way. Florida couple Raymond Moyer and Robyn Collier split the jackpot with another winner from Maryland. 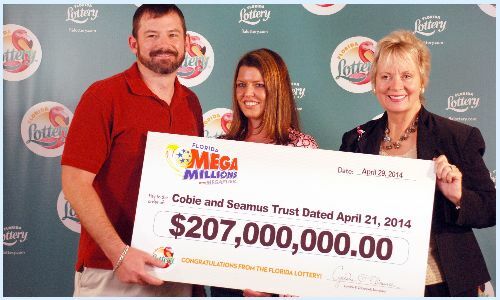 The Colliers became the first Mega Millions jackpot winners in their state a year after Florida began offering the Mega Millions lottery. What a precedent! The lucky winners planned to invest their winnings and travel. 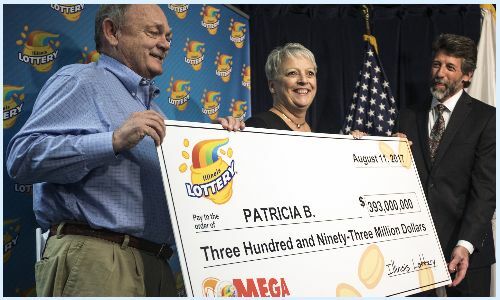 Patricia Busking of Palos Heights, Illinois was the sole winner of this massive jackpot. She took home a lump sum payment of $247.3 million, money that she planned to split between family and charity.